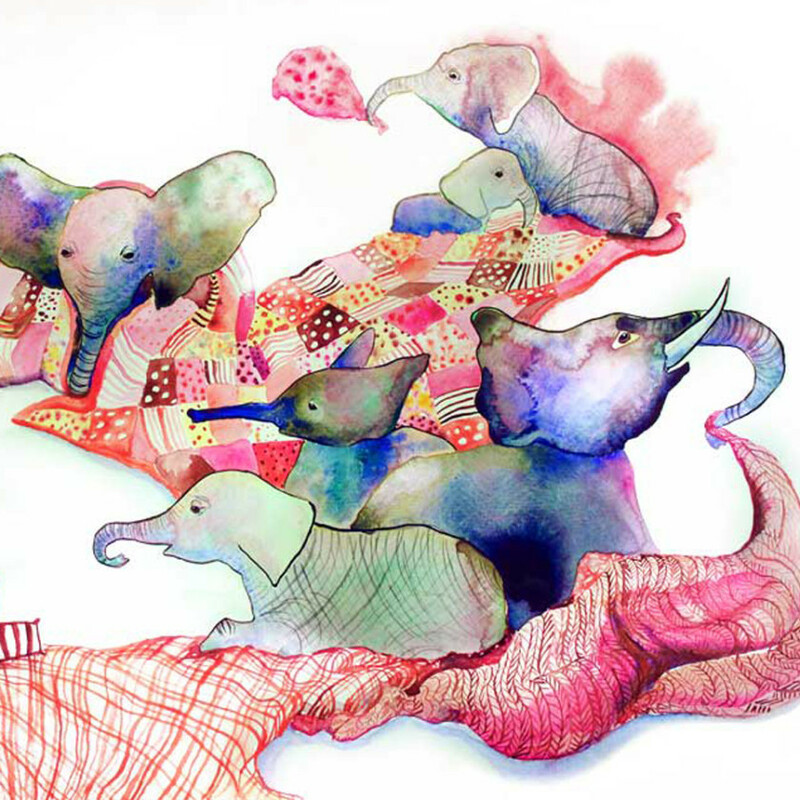 Elephants playing in blankets and pillows. What could be more fun? 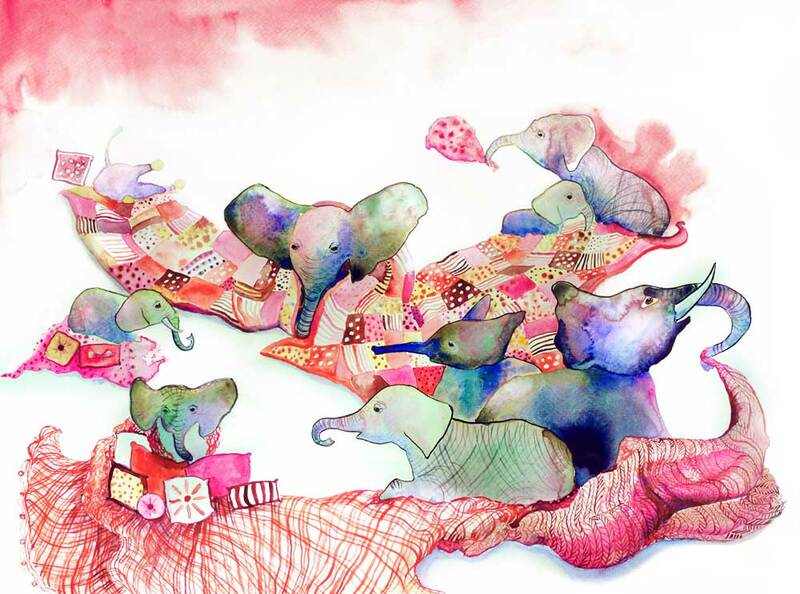 Created for the nursery of a baby girl. India ink & watercolor. 22 x 30 inches.